Is the Sequim Sunland Golf Course Going Bankrupt? Is the Sequim Sunland Golf Course going bankrupt? This is the question on the minds of 844 Sunland residents, 119 resident golfers, other Sequim residents who are watching this story unfold, and potential buyers from outside the area. After reading this article, be sure to read the updated article linked at the end of this article. 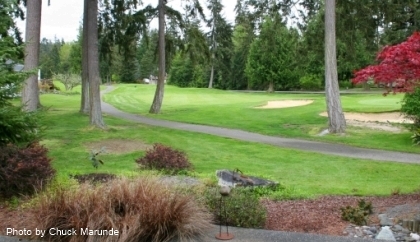 Sunland is one of Sequim’s early real estate developments and the first to have a golf course within the subdivision. In the 1970s the developer sold land to 100 resident golfers who started the Sunland Golf Course Club (“SLGCC” or “Club”). The Club is a private entity, owned by its members, and it owns the real estate and the clubhouse in Sunland. The homeowners in Sunland have a Homeowners’ Association (“SLOA”), which is also its own entity with no affiliation or financial connection with the Club. The two are now at odds, and the issue has created open animosity among some Sunland residents. The cause of this dispute? The Club is sliding toward bankruptcy, and it is asking the non-golfers in Sunland to save it. Club membership has been declining, as is the case with golf courses around the country, but the cost of operation and maintenance has not declined. There are three logical resolutions to this dilemma: 1. all homeowners chip in, 2. Club members ante up and save their Club, or 3. The Club files bankruptcy and liquidates. The months long campaign by the Club would require all homeowners to contribute. What is the most persuasive argument that all homeowners should chip in to help save the Club? The primary argument is that property values will be negatively impacted, and some have suggested that property values could decline by as much as 30% in Sunland if the Club goes bankrupt. The Club has suggested that the fairways could become fields of weeds, or that the land could be sold and a developer could come in and put up tract homes. Many homeowners are not convinced and are politely saying, “No.” Unfortunately, no is not working. The campaign to force all Sunland homeowners to help pay for the golf course has intensified. The battle for the mind of homeowners has turned into an all out war. Facts, assumptions, and perceptions are getting entangled. Rumors are flying about what would or could or might happen. The elderly on limited pensions are feeling pressured to participate even though some widows have expressed their financial inability. Homeowners are being told their homes will lose value if the Club goes under. Will Sunland homes be worth less if the Club goes bankrupt and closes? Will homeowners suffer a loss if they choose to sell their homes without a golf course in Sunland? Stated like this, these questions can lead a person to any number of tangential arguments, depending upon biases, assumptions, and one’s personal stake in the outcome. Let me state up front that this author has no stake in the outcome. I am a Realtor and retired real estate attorney, but I have no office in Sunland, no current listings in Sunland, do not own a home in Sunland, am not a member of the Club, and I am not a noteholder to whom the Club owes an unsecured debt. Do homes in Sunland now command a premium that can be attributed to the existence of a golf course in Sunland? This is a question that can be answered with a careful analysis of similar homes that have sold inside and outside of Sunland. The homes must truly be comps with similar qualities and features and with similar lots and generally similar neighborhoods. This kind of analysis will take some experience and careful thought, because it would be easy to distort the data with a few homes that are not true comps. It would also require some differentiating, because there may be some homes in Sunland that would be effected or effected more than the majority of Sunland homes because of their unique location. Lastly, the data in this analysis must include homes sold from the Olympic Listing Service (not the Northwest MLS which does not include all local listings), and it should include data over a reasonably long period of time, such as five to seven years. This would cover our peak years of sales in the area as well as the current recession. This kind of analysis is important. This is not a time to shoot from the hip on home values or the impact the Club closure may have on home values. Even professional Realtors can have substantially different opinions if asked to shoot from the hip. Impressions and assumptions have no place in this analysis. Too much is at stake for the Club and for the homeowners. Accurate facts are vital to intelligent discussion and freedom of choice in what may be the most important decision Sunland homeowners will ever make. If the answer to that question is, “No, the current market has not historically brought a statistically significant premium to the value of homes in Sunland simply because of the golf course,” then Sunland homeowners have nothing to fear from the closure of the golf course or the Club, and they should not be pressured to contribute financially. If, however, the answer to the question is, “Yes, the current market has historically brought a premium to Sunland homes because the community has a golf course,” then homeowners might be motivated to participate, but not without more. Homeowners are not going to blindly write checks. The Club has other options, such as Club members increasing their dues. Homeowners have posted a review of the facts and arguments on the Internet at Sunland-facts.info. This Sunland blog includes links to important letters and links to the Club’s position. 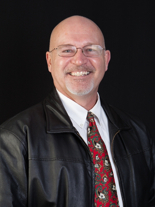 As a Realtor I listed one home and sold two homes in Sunland last fall in October of 2009. My buyers purchased a beautiful three bedroom, two bath home on a lot that is well landscaped. Like all of the other clients I showed homes to in Sunland in 2009, these clients are not golfers. As we shopped for homes that suited their parameters, we looked at homes inside and outside of Sunland. The home my clients did purchase was purchased on its own merits without regard to the golf course, and the comps indicated no premium value in the listing price at all. My clients would not have paid a premium to be in Sunland because there is a golf course. They found the perfect home on the perfect lot at a great competitive price, and they bought it. Their feelings were that Sunland is a great little community, but the golf course was not a factor. One might argue it was an indirect factor, since there are green fields of grass that contribute to the beauty of the community, and while that may be true, it is the green grass or the fields that are attractive, not golfers with clubs or golfers riding on carts. This means that it is not the Club itself that ads value, but the open spaces. Even this is debatable. But my experience is a microcosm, and surely another Realtor could be found to say that they sold to some clients precisely because there was a golf course in Sunland. But this still begs the question, “Do homes in Sunland command a premium because of the golf course?” This is why a more authoritative answer to the question involves a thorough analysis of homes sold inside and outside of Sunland over the past five to seven years. There is one more step in looking at values. Even if one could show that there is not a premium attached to home values in Sunland because there is a golf course, or that such a premium is negligible, we then must take the next step and ask how this issue of closing the Club will affect perceptions of values on the part of buyers. The cliche is, “Perception is reality,” and there may be some truth to that statement even if there is not to the underlying claims. If buyers are hearing that there is animosity within the community, that there are arguments about the effect the bankruptcy of the Club will have on home values, and that there is uncertainty about whether homeowners are going to be required to pay an additional $300 per year, or more, this could turn buyers away from Sunland, or it could motivate a buyer to try to negotiate a lower price. Perceptions can become reality, but they don’t have to. The answer to false perceptions is education, promotion and good marketing, honest dialogue, and diligent efforts by homeowners or the SLOA itself. Alexander Solzhenitsyn once said, “One word of truth will outweigh the whole world.” From my perspective, Sunland homeowners are some of the greatest people you could ever hope to know, and I would suggest that if Sunland homeowners are fully informed, they will make the right decisions. One thing that is clear is that there is a massive breakdown of communications. Several homeowners have worked diligently to gather facts and openly discuss the issues and potential resolutions for everyone. The homeowners have asked the Club for a plan that would show them how much they want for how long, what will happen in the years ahead, and what the projections are for more financial contributions from homeowners in the years ahead. The Club has apparently not provided satisfactory answers to the homeowners, and the Club has apparently been unwilling to provide detailed and accurate financial statements of income and expenses and proformas for the next few years. This comes from my interview of Sunland homeowners. I also emailed the Club to seek an interview but never received a response. Persuading the 725 non-golfers in Sunland to contribute $300 per year and possibly more in the future would be no small task. But this is where the responsibility to communicate openly lies entirely with the Club. Because the Club is the one asking the homeowners for money, and especially because it is an open-ended request, the Club owes the homeowners a duty of full disclosure, transparency, and that includes opening the books of the Club to homeowners for review (at least complete financial statements). It would be entirely unreasonable to ask any homeowner to contribute money to a cause that is unclear and managed by others who will not share specifically what they will do with that money and precisely how the homeowner will be effected. If homeowners feel this way, guess who is responsible for not articulating their position? Some homeowners feel that they are being asked to subsidize the social and recreational habits of golfers. I cannot imagine how the Club could overcome that objection. It was and is the Club’s responsibility to sell their plan to the homeowners, and thus far they have failed. The animosity among homeowners and the uncertainty hanging in the air is proof of that. But this is about much more than just number crunching. It is about respect and fairness. Selling the Club’s position to homeowners requires diplomacy and gentle persuading. It requires both the left and right hemispheres of the brain. Financial statements, proof of the Club’s financial need, and justification for homeowners’ contributions from a financial perspective is all left brain logic. The other half of persuasion is a matter of speaking to the homeowners ‘right brain, their concerns about the future, connecting with their emotional distress, and treating them with humility and respect. If the Club cannot do both, any vote to help the Club will fail. It is unfortunate that an otherwise peaceful community now has hostility brewing. It is important to note that the hostility is not between homeowners and golfers. The hostility is between the Club and the homeowners. It also seems apparent that the mismanagement of this important issue is not the fault of homeowners. The Club had the lead on this one. The Club had the responsibility to explain, educate, and persuade homeowners of the need and justify their request. They have clearly not done that well, and now the tension in the community is high. Editor: For an update article on the Sunland Golf Course issues, see Sunland Golf Course No Longer In Trouble and Issues Now History? For more information about the Sequim Sunland Golf Course, see Sunland-facts.info. August 18, 2018 Update: See the latest update at Sunland Golf Club Issues. 15 Responses for "Is the Sequim Sunland Golf Course Going Bankrupt?" What a worry for the surrounding householders. just hope they get to work it out. doubt it will be done overnight and could be a long long haul. I feel it should be expected that when you more into a golf course community (even though you are not a member of the club) you should know that the golf course must be maintained in situations like this. I think the non-golfers are going to have to take a hard look at what would happen if the course would go bankrupct. Would it be worth? Golf is one of those sports where practicing every day is incredibly important. Unfortunately, in this case, it looks as though the golf course is in danger of being shut down. That’s where I can help. I have a website where I sell all kinds of sports equipment, golf included. I’ve got everything from putting greens to golf flags and more. That way, people in the surrounding community could still practice, this time in their own backyards instead of on the course. Come check it out and buy a few golf products, and please feel free to take a look at my other sports equipment as well. It can be found at bighitbattingcages.com. Golf is the one game that seems to elude even the most concentrated athletes in so far as mastering a sport. Unless you’re on tour, you probably realize every time you pick up a club that something crazy seems to be up with your clubs. The driver was working just fine the last time you used it but today it’s acting crazy. No matter what, golf is a tough game and there is never enough time to practice. One easy solution is to go to Big Hit Batting Cages and get a back yard net and get plenty of swings in right outside your back door. Get ready for the boys on the weekend without trying to run to the driving range. It also seems apparent that mismanagement of this unique important issue is simply not the fault for homeowners. The Club had the lead with this one. The Club had the obligation to explain, coach, and persuade homeowners of the need and justify their request. They have clearly not finished that well, and so the tension in the community was high. That is understandable. Thanks for your Sequim golf articles. Obviously, I’m a golf fan (or should I say fanatic). I love the Sunland Golf Course. Had some outstanding days golfing there. I was wondering about what’s going on, and appreciated your article. Thanks a lot. I was surprised to find your article on the Sunland Golf Course conflict with the homeowners in Sunland. I’m in a small subdivision with our own golf club and we are having almost identical issues and identical conflicts. Our homeonwer’s association dues are almost $300 a month for those of us who don’t even play golf. The golf club spends almost the entire amount on golf club improvements and so the rest of us are really getting the short end of the bargain. They dismiss our concerns and tell us essentially that we are lucky to live here. This article is 2 years old. The dispute has long been settled, the golf course is doing fine, and Sunland is a beautiful and wonderful community to live in. Anyone thinking of moving to Sequim should definitly consider this great place to live. Editor: Thanks for making that point Roland. I would tend to agree, and I wrote an update on the Sunland Golf Course issues saying as much. But including a link to that article is a good idea, so I’ve included that link in this article and in this comment. While the issues seem to be history, we really don’t know what the future holds. I hope the future for the Golf Club is bright and only success, but the Club apparently never produced financial statements for the Homeowners’ Association when they wanted the homeowners to contribute to their budget. In my own interview with the Club Manager, I got zero answers, except a one sentence rebuttal, “We’re fine.” Even when I called the Club Manager for the update article, he would not talk, except the one sentence retort, “We’re fine.” End of subject? I hope it’s the end of the subject, but again, is the Club going to financially thrive in the years ahead? Those of us who hope it does still have absolutely no evidence of any kind except the statement, “We’re fine.” Having been a lawyer for 20 years, that’s not exactly strong evidence that guarantees the Club’s financial success. No one wants the Club to fail. No one. But remember, the Club did go to the HO Association asking everyone in Sunland to bail them out. Why? When the HO Association asked for financial statements to justify why the Club wanted all the non-golfers to subsidize the golfers, they got nothing from the Club. That also doesn’t prove the Club is or is not now doing well. I did interview the HO President and another board member, and I talked to some homeowners, and I can tell you there were some very upset homeowners in Sunland. This issue was not a small, sweep-it-under-the-carpet issue. It was a huge issue among homeowners in Sunland and with the Golf Club ownership. These articles about the Sunland Golf Course are all factually accurate. And yet we still do not know why the Golf Club wanted homeowners to help them and apparently the homeowners never did see any financial statements from the Club. Roland, you make a valid point when your write, “The dispute has long been settled.” I understand the statement, and many of us would probably use similar words to dismiss the whole affair now, but what has been settled? Nothing actually. Perhaps a better way to phrase the thought is to say that “The issue has died because nothing was ever resolved and no one wants to press the issues from either side.” I suppose we can be thankful that the whole issue is dying a slow death by neglect. 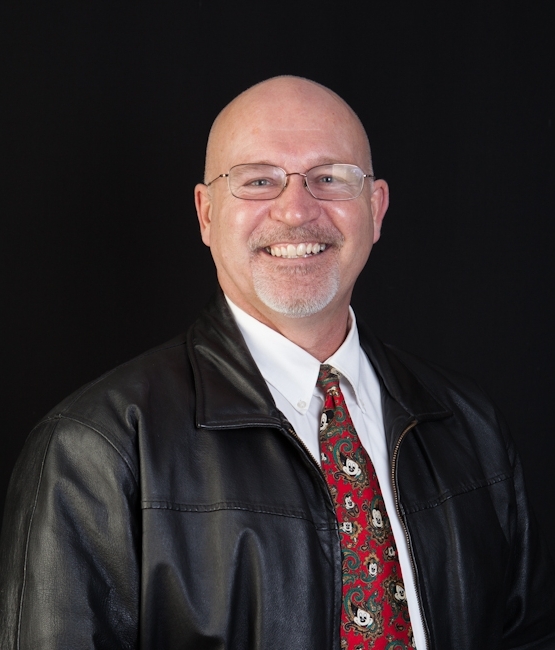 In the update, I point out that some of the best prices in all of Sequim are now found in Sunland, and I encourage buyers to look at Sunland homes for this reason. In fact, I show a lot of homes in Sunland, and I’ve sold several homes in Sunland. I recently sold one, but it was a short sale and the bank rejected it. I’m personally very positive about Sunland and Sunland’s future. Probably the biggest lesson for the Club in all of this, and something that I think is beyond argument, is that this was a public relations disaster for the Golf Club. The Club and the Club alone bears responsibility for all the bad news. The Club started the issue, and the Club mishandled the issue. That’s unfortunate for everyone in Sunland, and in my opinion that did hurt home sales in Sunland for a while. This blog only picked up on the issue after the Sequim Gazette and other news sources wrote about it. For an updated article on the Sunland Golf Course issues, see Sunland Golf Course No Longer In Trouble and Issues Now History? Thanks for this article. My husband and I are looking at homes in Sequim, and your article on the Sunland golf course issue was very helpful. We are now persuaded that buying a home in Sunland is a good idea. Great info on the Sunland Golf Course. We read and heard about some issues between the golf club and the homeowners in Sunland, but you cleared up our concerns. It does appear from my online MLS search that Sunland does have some fantastic prices now. 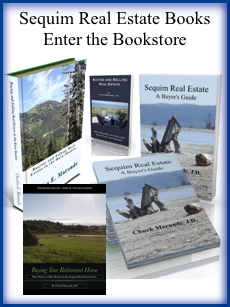 By the way, we are using your new Sequim MLS search site and absolutely love it! I have a limited income, I don’t golf and have NO intension of supporting the golf club. the golf club is a separate entity from sloa, it also illegal for sloa to make us support the golf club. This is the very stuff that my spouse and I (already homeowners in Sunland) have been discussing since this latest sally was made by the golf course leadership. And, thank you very much, you state all of my frustrations and questions so cogently that I wish this article could be required reading by everyone involved, both within the SLOA and the golf course owner/management group. The very questions you suggest asking of the leadership on both sides are, to me, confirmation of what has bothered me about the whole proposal in general, and more specifically, that it continues to arise periodically. I hope that the practical and logical, not to mention legal, aspects of this don’t get obfuscated and glossed over to the point where people who have any stake in the matter are fooled or bullied into doing anything that is counter to the aforementioned pragmatism, logic, and legality, let alone to their own best interests. Thanks again for the post. Would that more people would apply the same reasoning to justice and politics in general so that there would be a far less polarized and anger-driven atmosphere, but for now I will be content to see Sunland well served in this instance.